By ALLISON TIBALDI IS A NEW YORK CITY-BASED TRAVEL AND FOOD WRITER WHO HAS WRITTEN FOR USA TODAY-GO ESCAPE, TIME OUT NEW YORK, AM NEW YORK, OFF METRO AND OTHER TRAVEL PUBLICATIONS. HER WORK CAN BE FOUND AT HTTP://ALLISONTIBALDI.COM. 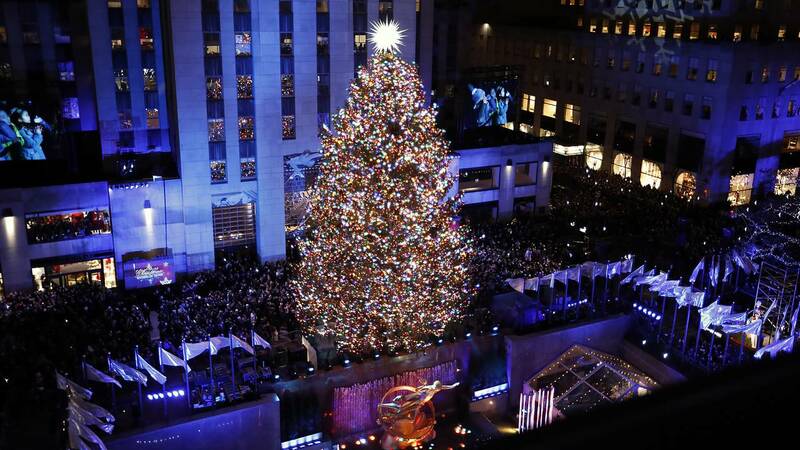 Annual Rockefeller Center Christmas Tree Lighting Ceremony at Rockefeller Center on November 28, 2018, in New York City. (CNN) - Lights twinkle, skaters glide across the ice and the scent of pine fills the air.